Discussion in 'Missed Ads' started by Blaz, Feb 8, 2015. Please check again. It must be blocked by English filter. Just tried, it is not. 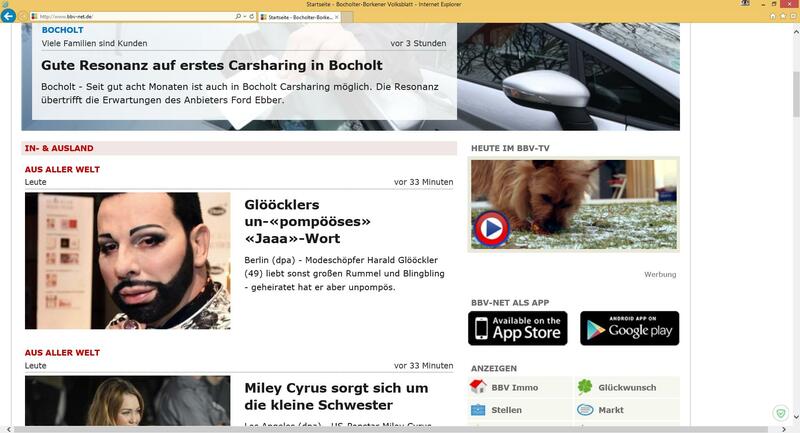 You see the text between "Heute im BBV-tv" and "BBV-net als App"
Can you make a screenshot and copy name of element? I see it now. It is blocked by Russian filter on my side And ##.adText from English don't work because upper case.